reputation as a reliable and knowledgeable source for quality natural stone in the Roaring Fork Valley and beyond. They are conveniently located mid-point between Aspen and Glenwood Springs and just a short drive down valley from Aspen on Highway 82 in El Jebel. The expansive array of wall panels display the wide range of selections available in Settlers’s amazing inventory, and customers are assured of finding the right stone for their project. When owners Orben and Paulette Toliver first established the business, they felt the valley needed a source for quality stone with reasonable pricing that would offer customers a means of staying within their budget, especially during these challenging economic times. Orben states, “As a kid growing up, I was always intrigued by stone while working with my Dad on landscaping projects around our homestead.” He recently discovered that his grandfather was a self-made mason who laid local stone for neighbors. “Working with stone is part of my heritage,” he says, drawing the link to the forces inspiring him to open his business. Settlers Stone Sales has developed solid partnerships with many quarries throughout the country to assure a good supply of quality stone at a reasonable price, and Settlers continually searches for new sources and products to expand their offerings. 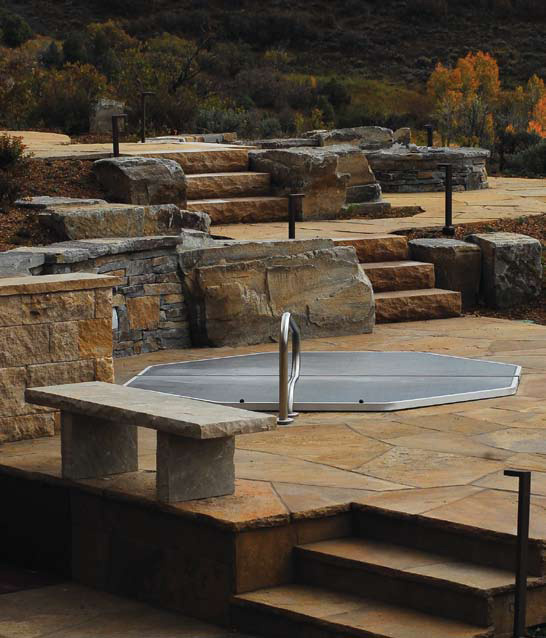 Their vast inventory offers products for projects requiring wall or building stone, flagstone for patios and terraces, boulders and beach pebbles for landscaping, and fabricated stone for walls, columns, chimney caps, fireplace surrounds, and just about anything imaginable. 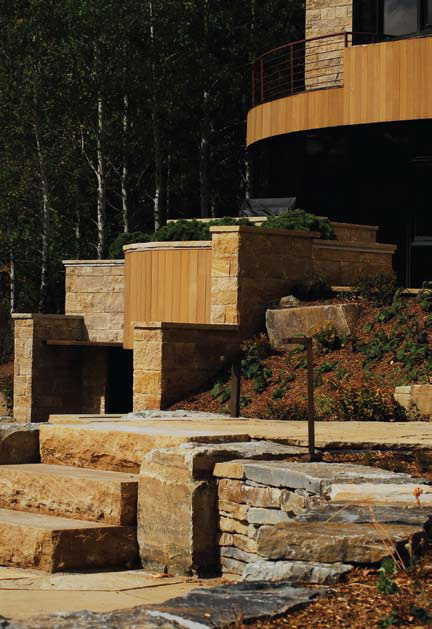 The large variety of stone conveys character and uniqueness to a residence or commercial project. Another veneer or wall stone that has become popular is known as “thin sawn” (meaning the stone has been reduced in thickness to around 1-1/2 inches through a sawing process). Sales have grown significantly in recent times. Thin-sawn stone has the appeal and look of full veneer, but the weight is significantly reduced. This makes it an ideal product for interior applications with structural limitations. Settlers Stone Sales continues to attract new clientele and return customers with its service. This level of service encompasses receiving clients cordially at the first meeting, assisting each customer in finding the right product, and delivering materials to the job site on time. Experienced staff members contribute their expertise and ideas to benefit the customer. As an example, a staff member with background in architectural drafting and design can offer helpful ideas for design based on color and texture; another staff member with a background installing masonry is available to offer beneficial suggestions for products and techniques for placing the stone. It is those value-added services that assure customers they’ve come to the right place. Settlers Stone Sales serves architects, interior and landscape designers, general contractors, masonry contractors, and the occasional homeowner. All receive the attentiveness they deserve in bringing their dream to fruition. Selecting stone is a decision with consequences that can last a lifetime, so customers want it to be the right decision. With the help of someone experienced in the field, peace of mind is assured. A recently expanded office and sales center is just a few blocks from the main yard. The new wall display presents over 65 varieties of stone and offers customers an opportunity to experience the products hands-on. Displays include wall veneer, flagstone and a water feature. Hopefully, displays like this will make the decision process simpler and offer customers an opportunity to envision what the stone may look like installed. Settlers Stone welcomes the challenge of finding the right product for each project, whether it is new construction or matching an existing installation. With the ability to resource an array of stone through their many suppliers, it is rare they do not source the exact stone product that their customer was seeking. Settlers Stone Sales, LLC, embraces every opportunity to be your first choice in sourcing the right stone for your project anywhere in the U.S. or abroad.